The commencements are mushrooming by the upcoming elections. In Kaposvár right now the NABI Ltd ‘s youngest production, the Sirius got round of applause from the workers and also the representatives of the media. We can not say that the news from this factory could be “disinterested”. The reason is simple: the glimmer of hope getting stronger for Hungary to became the center of the bus industry in Central Europe with building mostly from Hungarian components by Hungarian hands as the result of great innovations. From now NABI can take a part refreshing the Hungarian public transport vehicles. The Siris is a cool neat, out- and inside. The engineers made a good job with creating a universal construction: the prototype is built with a Euro5 engine, but it is possible to use different, so called alternative drives like gas, hydrogen and also used by electricity. However the engine, the chassis, and the leading gear is produced by the German MAN, the superstructure is intended by Hungarian engineers. The basic elements of the design were taken from NABI BRT series, from those ones who are used in the transport of Los Angeles and also other American cities. The “remake” got an imposing top-line, that is releasing the drag, and also creates a great shape for the air condition that was placed also the first part of the top. The inside of the bus gives a good hope for the passengers, however it is not made to be an industrial art master piece, it is simple, solid with matt materials and surface. In the end we can say: it is pleasant. The passenger cab is a little conspicuous if we count it as a “city-bus”. It’s got 36 seats and 68 standing places ( sum 104). Of course we know what could be count to makes it being that kind of bus: huge line-screen in the front and the back for the route number, also a complete passenger information system with the ability of playing MP3 files. The bus is also able to accept passengers with wheel-chairs, but only with a manual ramp. Well, let’s take a look on the technical sheet. 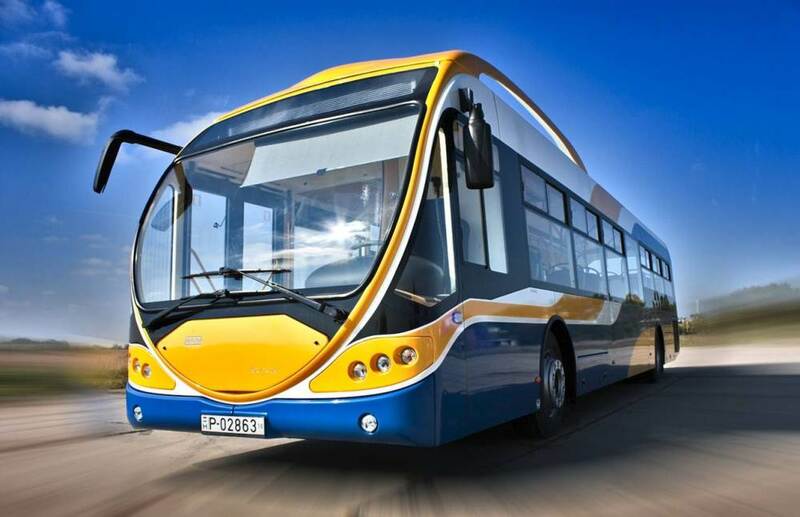 We are glad to read that this bus accomplish the future emission-requirements that will be used from 2013, we could do pouting on the 290 horsepower diesel engine. Also we could search on Youtube for the crashing test of the fiber glass, polyester-aluminum body, and by the end we might see that the seats couldn’t be cleaned easily, but we must be happy! Sirius is a streamlined, a bit fascinating-and its ours!